I am not sure this clip was in 94 or 95. I guess the song is called "I lie with my eyes"? The reason I love this song is that the tempo is hot and melody is exciting. C&A's duet were perfect. Chage and Aska danced around the stage and walking around. In this song Aska's singing skill is amazing. it seems that there's nothing he can't sing. He just can sing in any way he like. 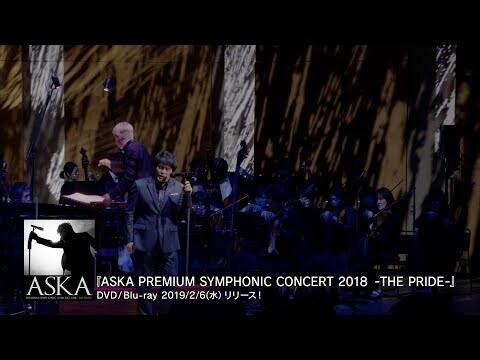 Between the singing, when the spot light is temporarily not on him, the camera caught Aska relax a bit in the dark and was breathing really heavily. As soon as the spot light is on, he gave all his body and soul to the music again. I like the part that Chage put his left arm around Aska's shoulder. I know it is the routine of this song. But I really like that part. One more little thing...I think Aska has a towel under his white shirt because he always sweat a lot on the stage.